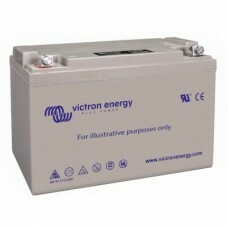 A truly innovative battery The AGM Super Cycle batteries are the result of recent battery electrochemistry developments. The paste of the positive plates is less sensitive to softening, even in case of repeated 100% discharge of the battery, and new additives to the electrolyte reduce sulfation in case of deep discharge. Exceptional 100% depth of discharge (DoD) performance Tests have shown that the Super Cycle battery does withstand at least three hundred 100% DoD cycles. The tests consist of a daily discharge to 10,8V with I = 0,2C₂₀, followed by approximately two hours rest in discharged condition, and then a recharge with I = 0,2C₂₀. The two hours rest period in discharged condition will damage most batteries within 100 cycles, but not the Super Cycle battery. We recommend the Super Cycle battery for applications where an occasional discharge to 100% DoD, or frequent discharge to 60-80% DoD is expected. Smaller and lighter An additional advantage of the new chemistry is a slightly smaller size and less weight compared to our standard deep cycle AGM batteries. Low internal resistance The internal resistance is also slightly lower compared to our standard deep cycle AGM batteries.